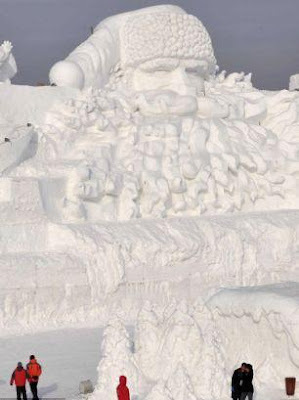 As well as the colourful life-sized ice buildings, which reflect traditional Chinese architecture, there is also a 160m high Father Christmas sculpture, said by organisers to be the world's largest. 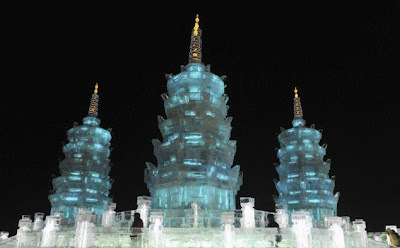 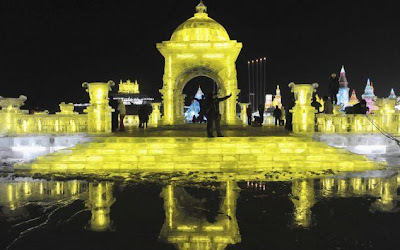 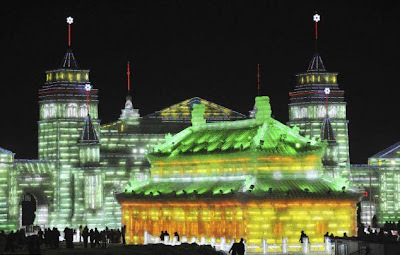 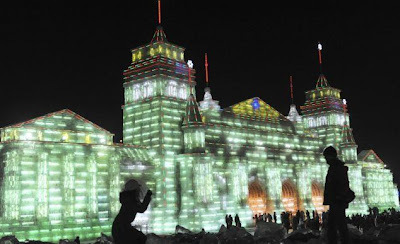 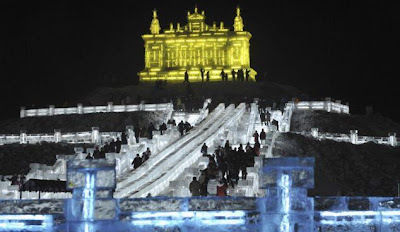 Harbin, which fringes Siberia, plays host to the festival each year, but organisers have revealed that the effects of global warming are taking a toll as the snow and ice now melt more rapidly than in the past. 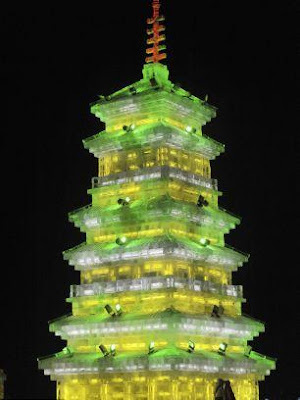 'It can stimulate the economy and consumption. 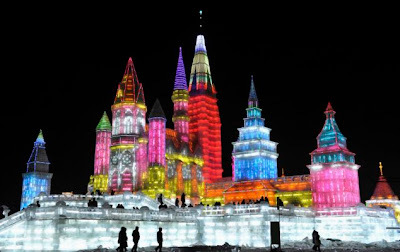 When people feel happier, they will want to spend more, so it will lift the economy of the city and even the country,' said Li Qingsheng, a tourist from Beijing.